Below is an animation video I produced recently. 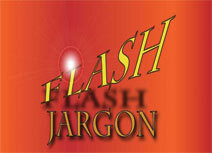 Click here to view Flash Jargon. I produced Sweet Trip as part of my class project. Before enrolling in the Digital Media program at Conestoga College, I never imagined that I would enjoy expressing myself artistically in film. Videos are a fun medium to articulate one's creativity in "reel" time (pardon the pun! ).